Honestly prepared food from local produce. wild ​berries and handpicked greens? 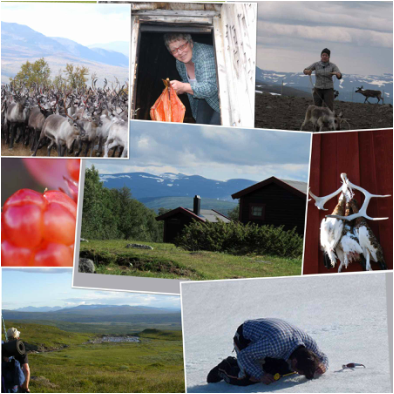 A hike with us isnt`t just hike, It´s a trekking filled with Sami storytelling, not just in words. It´s a storytelling through gastronomi. To taste the delights of the mountain culinary in the mountains takes the experience to a higher level. Walking a weekend tour around Ammarnäs or a week in Vindelkroken. In wintertime you can choose between sami storytelling in tastes, a visit to the reindeer enclosure or experience traditional Sami winter fishing.